More or less another sample file, not really production ready for its speed (or rather slowness). 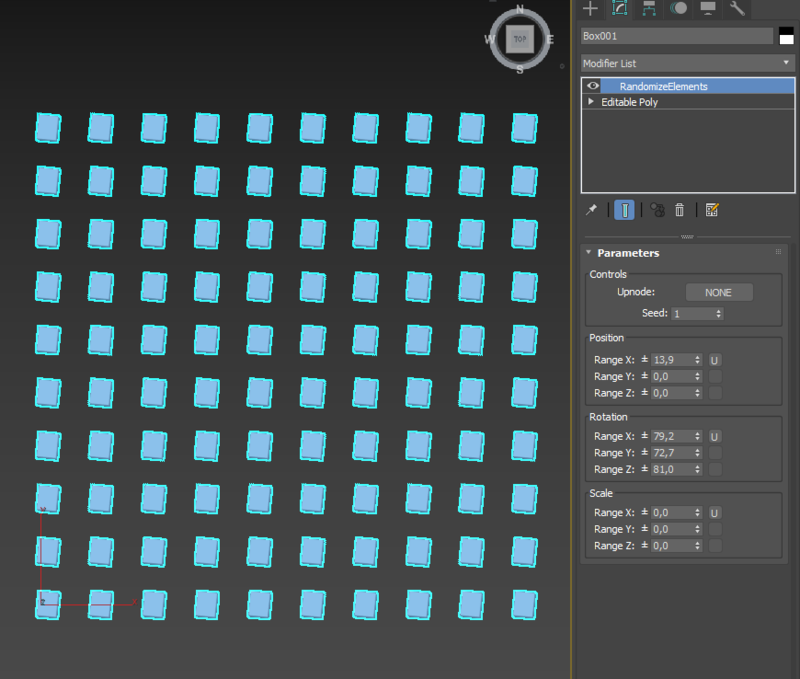 If you want to quickly randomize mesh elements, use this one instead. Submitted by camouflage98 on Tue, 2019-04-02 15:39. I'm experiencing the same issue with 3ds max 2018. Is there any way we can fix this issue, please? When used, all objects change in the same way, not randomly. Submitted by mimicrin on Sun, 2018-10-21 11:45. Hello! Can you help? When used, all objects change in the same way, not accidentally. Submitted by brainsgonedead on Sat, 2016-10-22 15:34. Nice one! Jokermartini charges for his version where yours is free and does exactly what it says on the tin!